Handoff is a part of Continuity, the biggest feature of iOS 8 and OS X Yosemite that keeps your Apple devices connected. This feature is very useful if you own a Mac and multiple iOS devices. It allows you to make seamless transition between these devices without any hindrance in your work. 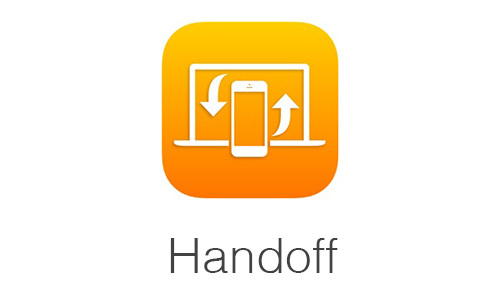 Handoff lets you continue your work on Mac where you left it off on one of your iOS devices and vice versa. For example you start browsing ioshacker.com on your iPhone, and you get low battery notification, so take your Macbook, and by a single click ioshacker.com will be there in Safari on your Mac. Almost all Apple apps including Mail, iWork suite, Maps, and Messages support this feature. Apple has also provided an API to developers to add this awesome feature in their apps. 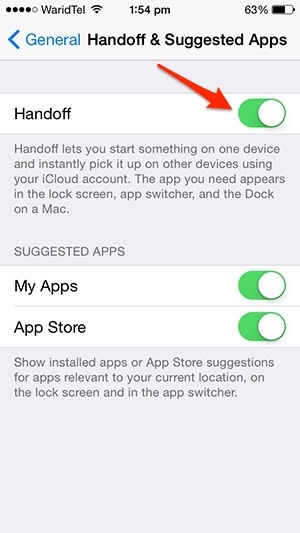 Handoff is enabled by default and starts working once you sign in to multiple Apple devices using same Apple ID. But if for some reasons you want to disable this feature then there is a toggle for that. 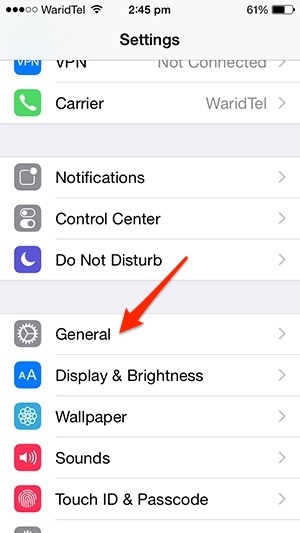 Here’s how to do it on your iPhone, iPad or iPod touch running iOS 8 or later. 3. Next tap ‘Handoff & Suggested Apps’. 4. 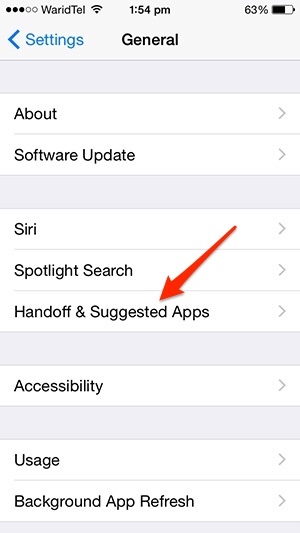 Now you will se ‘Handoff’ toggle. Turn it off or on.